Welcome to TreadClimberВ® by BowflexВ®! back (less shipping and handling) вЂ“ guaranteed (see вЂњ100% Satisfaction GuaranteeвЂќ). Or call 1 (800) 605вЂ“3369. If you have questions or problems with your product, please call 1 (800) 605вЂ“3369. 2011 Nautilus, Inc., All rights reserved. в„ў and В® indicate a trademark or registered trademark. Nautilus, Inc. (www. respective logos. Other trademarks are the property of their respective owners. This icon means a potentially hazardous situation which, if not avoided, could result in death or serious injury. 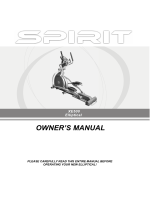 Read and understand the complete Owner's Manual. Keep the OwnerвЂ™s Manual for future reference. unreadable or dislodged, contact NautilusВ® Customer Service for replacement stickers. machine. Place the power cord in a secure location. вЂў Not intended for use by anyone under 14 years of age. calculated or measured by the machineвЂ™s computer for reference purposes only. вЂў Before each use, examine this machine for damage to power cord, power receptacle, loose parts or signs of wear. Do not use if found in this condition. Contact NautilusВ® Customer Service for repair information. вЂў Keep power cord away from heat source and hot surfaces. вЂў Always connect the power cord to a circuit capable of handling 10 amperes with no other loads applied. вЂў Connect this machine to a correctly grounded outlet; consult a licensed electrician for assistance. вЂў Do not operate where aerosol products are being used. an approved technician before it can be used again. вЂў Maximum user weight limit: 300 lbs. (136 kg). Do not use if you are over this weight. вЂў This machine is for home use only. moving parts of the exercise equipment. вЂў Set up and operate this machine on a solid, level, horizontal surface. walking on the moving belt. the treadles, and to prevent injury never allow children or pets around the machine. вЂў Do not operate this machine outdoors or in moist or wet locations. third parties out of this space when machine is in use. вЂў Do not over exert yourself during exercise. 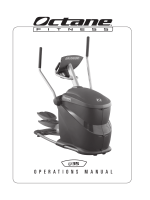 Operate the machine in the manner described in this manual. 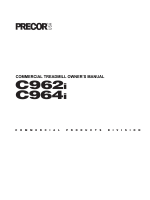 вЂў Perform all regular and periodic maintenance procedures recommended in the OwnerвЂ™s Manual. вЂў Read, understand, and test the Emergency Stop Procedure before use. вЂў Keep the walking belt clean and dry. вЂў Do not drop or put objects into any opening of the machine. вЂў This machine is designed for walking. Do not try to run on this machine. stay in balance on the Treadles. is properly installed and grounded. outlet installed by a licensed electrician. can cause the circuit to trip. to the extension cord or surge protector in combination with this machine. Port, the belts will not operate. which could cause the loss of balance and possible injury. START button to resume the workout. seconds to shift between the G.O. Coachв„ў workout mode and the Manual workout mode. Note: During the Manual TreadClimberВ® workout mode, the G.O. Coachв„ў display will be blank. Push to pause a workout, exit the Console Service/ Setup mode, or end a paused workout. in LBS (pounds) or KG (kilograms). The default value for Weight is 150 lbs. (e.g. 3.4 MI). MI is the default setting. The display alternates between the Calorie and Distance values every 2 seconds. (KM). Miles is the default setting. of three columns of thirty minutes, each segment of a column is 3.3 minutes. Note: This display is blank in Manual TreadClimberВ® workout mode. through a list of options. closer the dial is set to the MAX setting, the more the Treadle will travel. This results in a more intense workout. is recommended not to turn the dials through the red range. machine before you adjust the resistance level. MIN or increase the belt speed. It may be helpful to note your dial setting for future reference when there are multiple users of the machine. machine a minimum of 3 times per week, 30 minutes each day. continuous exercise at one time, just do 5 вЂ“ 10 minutes, and gradually increase your workout time until you can reach 30 minutes total. multiple shorter workouts on the same day. For example, 15 minutes in the morning and 15 minutes in the evening. BowflexВ® SelectTechВ® dumbbells, and follow the BowflexВ® Body Weight Loss Plan that comes with your machine. week, and donвЂ™t change your workout times unless it is absolutely necessary. Make a commitment to a family member, friend or spouse, and encourage each other to stay on track each week. Leave messages with friendly reminders to be consistent, and keep each other accountable. Make your workouts more interesting by alternating between steady state (single-speed) workouts and interval training (varied speed) workouts. The TreadClimberВ® п¬Ѓtness machine is even more fun when you add this kind of variety. вЂў Rubber-soled athletic walking or running shoes. вЂў Exercise clothing that allows you to move freely, and keep comfortably cool. вЂў Athletic support that provides stability and comfort. or 20 times. Repeat the stretch with the other leg. the gluteals. Release the stretch by putting the foot on the п¬‚oor. Each repetition of the sequence should take 1 to 3 seconds. times. Repeat the stretch with the other leg. the stretch with the other leg. back heel. Release the stretch by returning to the start position. Each repetition of the sequence should take 1 to 3 seconds. Repeat as a continuous, controlled, п¬‚uid sequence 10 or 20 times. something for balance, if necessary. п¬‚uid sequence 10 or 20 times. * Source: Jay BlahnikвЂ™s Full-Body Flexibility, Second Edition, 2010. HumanKinetics.com. physician or health care professional to п¬Ѓnd the intensity and level of your workouts. values calculated or measured by the machineвЂ™s computer for reference purposes only. essential to a well-rounded cardiovascular training program. 7 minutes walking at a slow, easy, comfortable speed. 1 minute walking at a more challenging speed that is approximately 50% faster. 1 minute walking at a more challenging speed that is approximately 2x faster. 6 minutes walking at a slow, easy, comfortable speed. Steady State workouts), maximize calorie burn and improve п¬Ѓtness. Here is a beginner, intermediate and advanced sample workout schedule. With each of these sample workout schedules, do not move on to the next week until the current week feels easier and comfortable. Use this log to track your workouts and progress. Tracking your workouts helps you stay motivated and achieve your goals. leg. Keep the head on the п¬‚oor. other leg. Use the arms to support the back. Place the ball of one foot on the edge of a step or staircase. foot as far as comfortably possible, keeping the knee straight. 1. Place the TreadClimberВ® п¬Ѓtness machine in your workout area. static electricity and protect your п¬‚ooring. 2. Adjust the intensity settings on the Hydraulic Cylinders. 3. Connect the power cord to the machine and into a grounded AC Wall Outlet. prong 120V outlet. If an extension cord must be used, be sure it is a heavy duty model, rated for 15A. the power cord and plug. 4. Examine below the Treadles for any objects. Be sure it is clear below the machine. 5. Switch on the power. Power is now supplied to the machine. the Safety Key cord to your clothing. вЂў The Safety Key must be correctly put into the Safety Keyhole for the Belt Motor to engage. вЂў Always attach the Safety Key Clip to your clothing during workouts. belts (brace yourself- this is an abrupt stop). 7. Select your workout mode (G.O. Coachв„ў Workout Mode or Manual TreadClimberВ® Mode). display is visible, push and hold the START button for two seconds until it is blank. 8. Push the START button, and begin your workout when the belts are up to speed. to stay in balance on the Treadles. freely in a natural walking motion. This workout will activate your core muscles. It should only be done by those comfortable with not holding on to the Handlebars. The Console will enter Power Up mode when initially plugged into a power source and any button is pushed. The belts will only move after a 3 second, audible beep countdown. Note: The Console will start in the G.O.Coachв„ў Workout mode. If the Console does not receive any input for п¬Ѓve minutes, it will automatically shut off. Note: The Console does not have an On/Off switch. Push the START button to start (wake up) the Console. thirty minutes. When fully built, the next column will activate for your next workout. 90 minutes is the encouraged, weekly goal. The Console records your workout time value, so you can stop your G.O. helpful to track your workouts or establish a weekly workout routine. Note: For accurate goal tracking, only the main user of the machine should workout in this mode. The G.O. Coachв„ў Console will save the time of each workout and apply it toward the goal. The Console will start in G.O. Coachв„ў workout mode. The G.O. Coachв„ў display is active when in this mode. 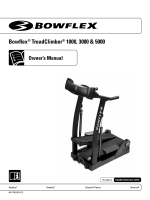 The Manual TreadClimberВ® Mode allows the machine to be used without affecting the G.O. Coachв„ў weekly goal. tracked from the manual mode. the START button for two seconds until the display is blank. 1. Check and be sure the Console is in the Manual TreadClimberВ® Mode (G.O. Coachв„ў display is blank). 2. If the display is blank, push START. 3. Your Manual TreadClimberВ® Workout will begin after the three second, audible beep countdown. Note: Be sure to read the вЂњBefore You StartвЂќ section of your manual. the Console can supply a more accurate value for calories. TreadClimberВ® mode). To shift between modes, push and hold the START button for 2 seconds. last weight entered for this mode. 3. Adjust the value with the Increase and Decrease buttons, and push START. An audible beep will conп¬Ѓrm your input. This value will be remembered until adjusted. speed, calories, and distance) three times. Note: If the Console does not receive any further input after 5 minutes, the Console will shut off. 2. Push STOP to pause the workout. The belts will slow to a complete stop. from the wall outlet and machine AC input. Place the power cord in a secure location. Increase and Decrease buttons for 2 seconds. Displays the average motor current for the current maintenance interval. Push the Decrease button to view the averages of previous intervals. A test to see how long until the belts stop. A test to see if the Console is receiving data. the Increase and Decrease buttons to view all error statistics. Push STOP to exit an Option and the Service / Setup Mode. the Transport Hand Bar, turn the Levelers until you have sufп¬Ѓcient clearance between the machine and п¬‚oor. Use the transport wheels to roll your п¬Ѓtness machine to the new location. Lower your machine slowly into its new location without injury to your head or п¬Ѓngers. damage to the machine can occur. sure that you and others are all physically п¬Ѓt and able to move the machine safely. Mat in your selected workout area before you begin assembly. 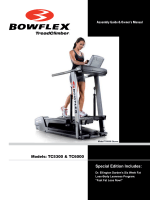 To order the optional machine mat, go to: www.bowп¬‚ex.com, or call 1 (800) 605вЂ“3369. 1. Loosen the upper locking nut. 2. Turn the leveler to adjust the height. to do the necessary tasks. manufacturer supplied components can be used to maintain and repair the equipment. 65. If you would like additional information, please refer to our web site at www.nautilus.com/prop65. these conditions exist. Use a dry cloth to wipe off any perspiration after each use. any liquid get below the belts or into the Base Frame. Make sure all bolts and screws are tight. Tighten if necessary. the Console free of moisture. вЂў 100% pure silicone, available at most hardware and auto parts stores. added to your inspection schedule. Only apply lubricant as necessary. Push the START button to accept the reminder. length of the deck. Apply 0.5 to 1.5 oz. of the lubricant on the deck underneath each belt. petroleum based product as this could seriously impact performance. the Walking BeltsвЂќ procedure if necessary. 3. Connect the power cord back into the machine and then into the wall outlet. 4. Stay to one side of your machine. 6. Switch off your machine. Contacts section of this manual). oil from the machine surfaces. The walking belts need to be adjusted if they are out of center enough to cause a rubbing or scraping sound. Adjustments can be made at the Front Roller of each Treadle. left, do the same thing on the left adjustment bolt. Note: Do not turn the bolts counterclockwise when you adjust the belt alignment. Adjustment Bolts clockwise one-half a turn and check tension again. Repeat this step if necessary. Note: Bolts are turned counterclockwise equally to decrease belt tension. procedure to apply an anti-static spray to them to reduce the static electric charges. components cool to room temperature. 1. Unplug the machine from the wall. the bolts counterclockwise to decrease the tension. Note: Be sure to record how many turns it takes to loosen the bolts to assist with reassembly. machine, farthest from the motor (green highlighted area). instructions for the anti-static product. lightly coated with anti-static spray. 6. Wait until the belts dry fully (approximately 2-4 hours). 8. Plug in the machine and turn on the power. manufacturer safety instructions for the anti-static product. check to make sure it is on. If outlet is not functioning п¬Ѓnd a working outlet. inlet on the unit and п¬Ѓrmly inserted into a nonGFI wall socket. Plug Safety Key into Console (See Safety Key (Emergency Stop Procedures) within Features section). guides at rear of treadles. вЂњAdjusting the Walking BeltsвЂќ procedure. Contact Customer Care for further assistance. вЂњAdjusting the Walking BeltвЂќ procedure. shaped) bushings and replace if cracked. that connect the hydraulic cylinders to the unit. Plug Safety Key into Console (See Safety Key (Emergency Stop Procedures) in Features section). belt tension, and restart unit. the machine due to other devices on same circuit. recurs be sure to note the display code and contact Customer Service for further assistance. Consult lubrication schedule and apply if necessary. Push START button. return your merchandise and receive a refund of the purchase price, less shipping and handling. Nautilus, Inc. This guarantee does not apply to sales made by dealers or distributors. a. 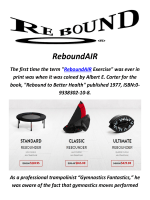 The TreadClimberВ® exercise machine was purchased directly from Nautilus, Inc.
b. The request to return the product is within 6 weeks of the delivery date of your merchandise. 2. If an RMA is granted, the following instructions will prevent delays in the processing of your refund. b. All returned merchandise must be properly packaged in good condition, preferably in the original boxes. invoice should be placed in each box of merchandise. the TreadClimberВ® Representative issued the Return Authorization Number. shipment. Nautilus recommends that you obtain tracking numbers and insure your shipment. product. The customer assumes all shipping and handling charges for any unauthorized return.